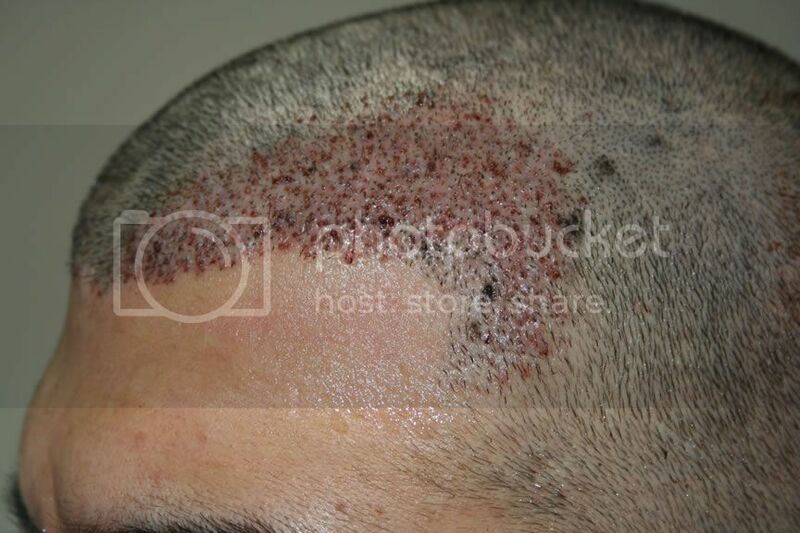 Dr. Keser performed a hair transplant surgery on this patient to repair a previous procedure. 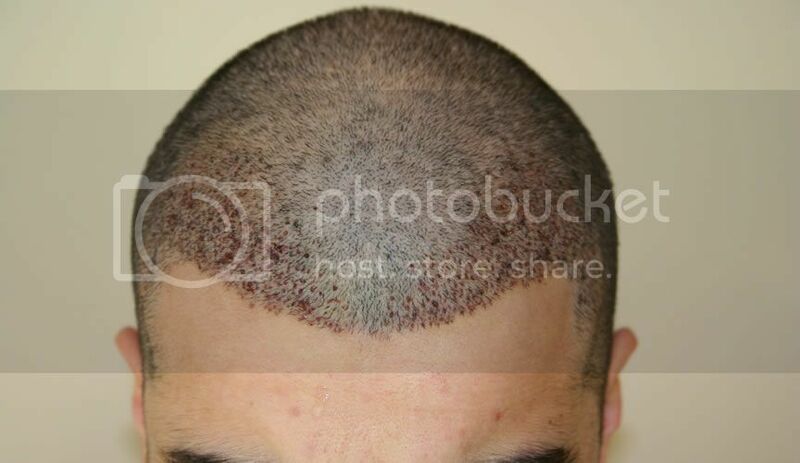 1000 new grafts for the hairline and 200 new grafts for the scar. 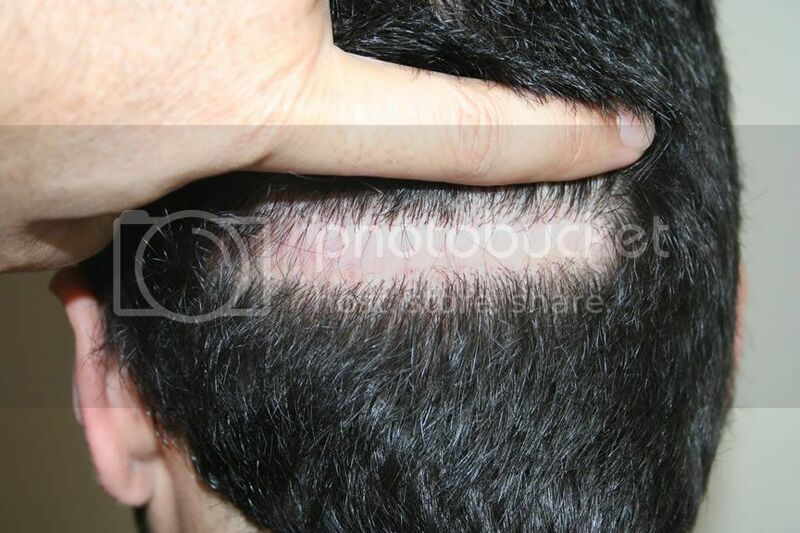 Scar repair cases are always difficult because the growing yield can’t be known, only a few grafts can be implanted in the scar. If the growing yield is good the scar area can be given more density with a second surgery, if it is not good only a few grafts are lost. Pre-surgery and post-surgery pictures are shown. As soon as possible we will post a 4-months update to this case. that scar! 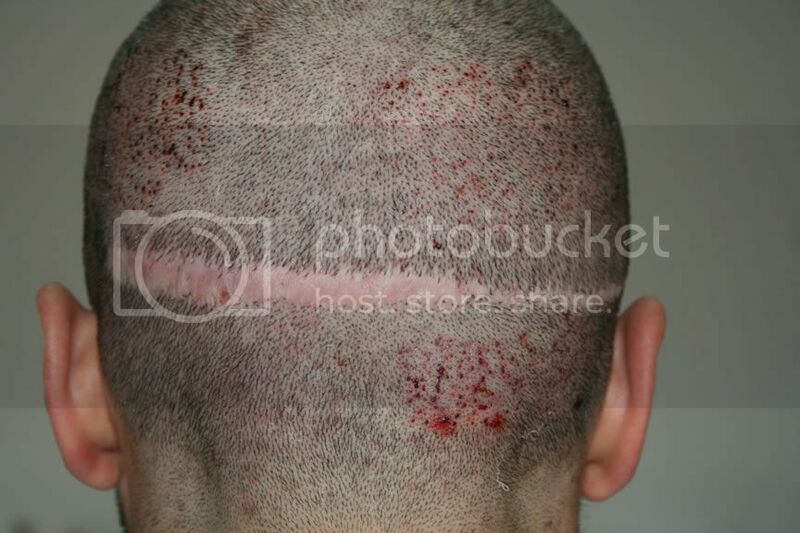 How many grafts did he get when he was left with that huge scar? Who did his strip and how many grafts? 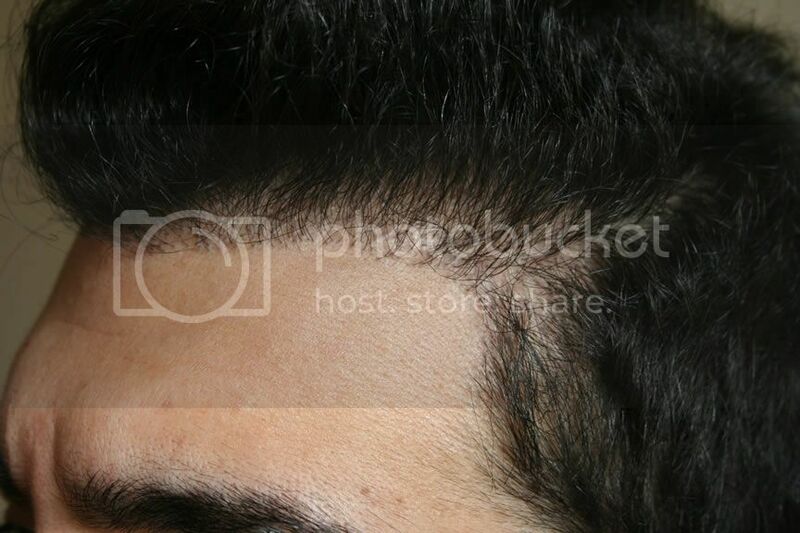 why does the scar stretch so unevenly? 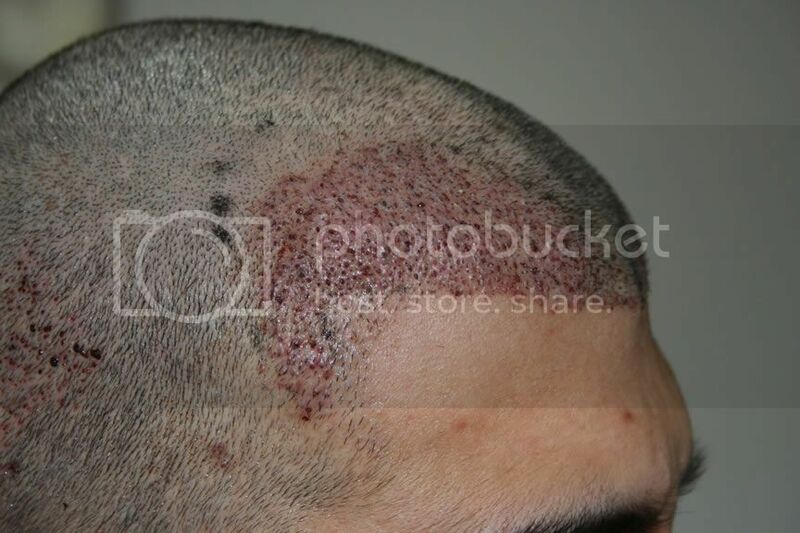 The patient didn’t want a scar revision. After bad results with strip HT he refused to have another incision. FUE was a good option for him and it turned out well. 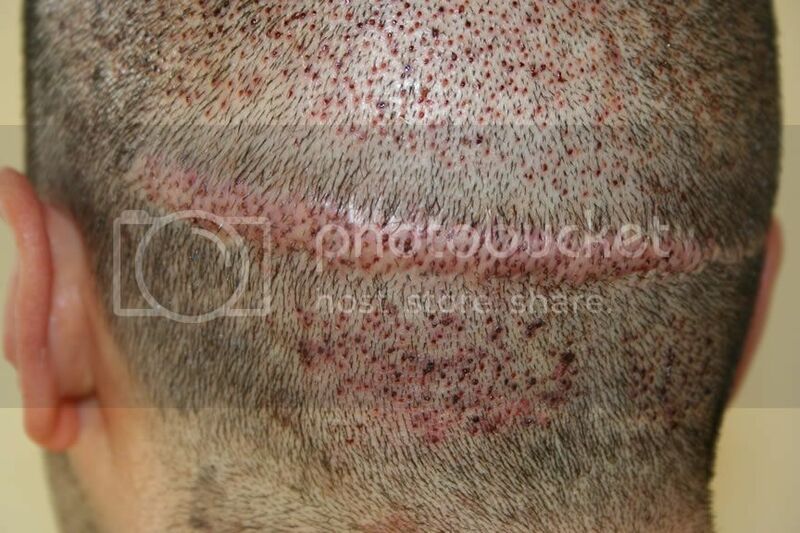 The scar turned out so bad, stretching to one side, because of the patient lacked good laxity. 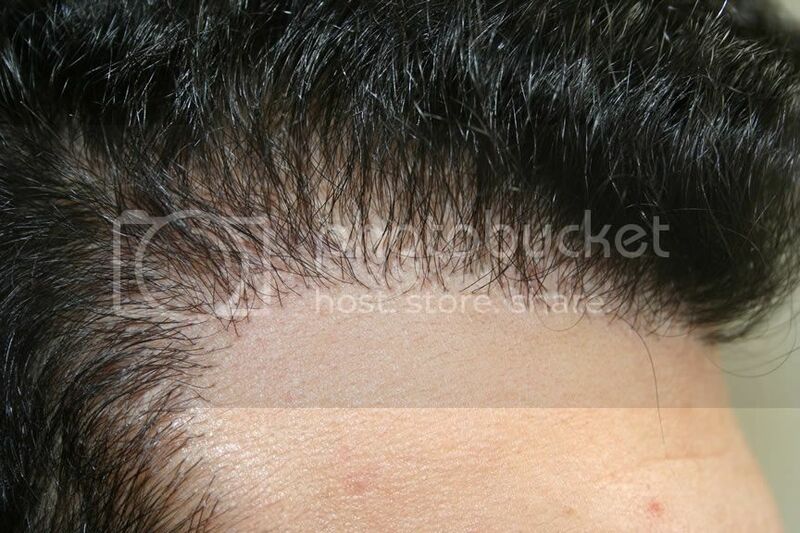 Dr. Kesser, how many grafts would you estimate this man has left for future work? I had a transplant into my temples, and look very similar to him before you worked on him. Same body to hair, same color, same amount of recession.